Salvador Dali could not have created as disturbing an image as these. The offset jaw Engineer's vise is definitely one of the more unusual of vices. This is one of several NOS (New Old Stock) Wilton Offset vices Ken had in his inventory. The last catalog this vise showed up in was in 2004. 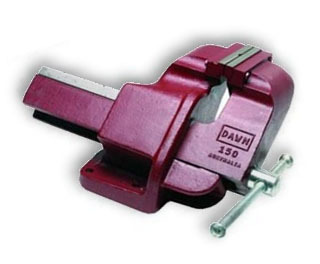 This vise was designed and manufactured by Dawn Tools of Austrailia and is still their most desired vise. Dropping it from the Wilton line may have to do with friction with Dawn Tools, the exchange rate or poor sales in the US - details are not known. Dawn Wilton melts like a Salvadore Dali clock. 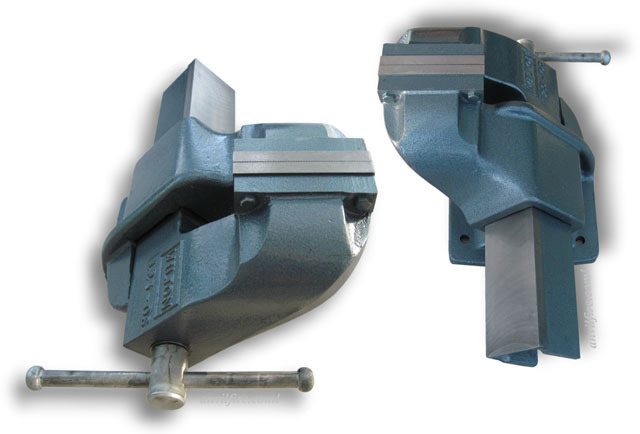 The advantage of the offset jaws is that long work that extends beyond the vise can be clamped vertically when the vise is centered on a bench. 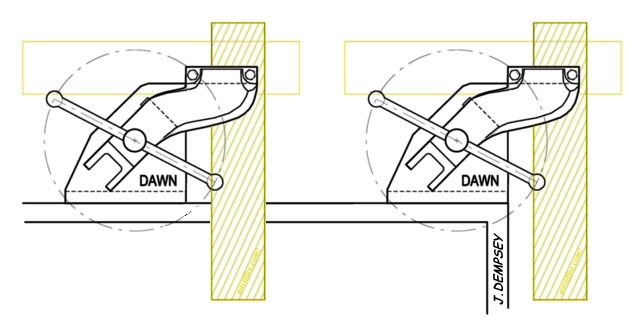 When mounted on the corner of a bench the vise gives 270 degree access to the work. While the same can be done with a regular bench vise only about 20% of the jaws grip the work. The Offset Vise gives 100% grip with a work width greater than the jaws. 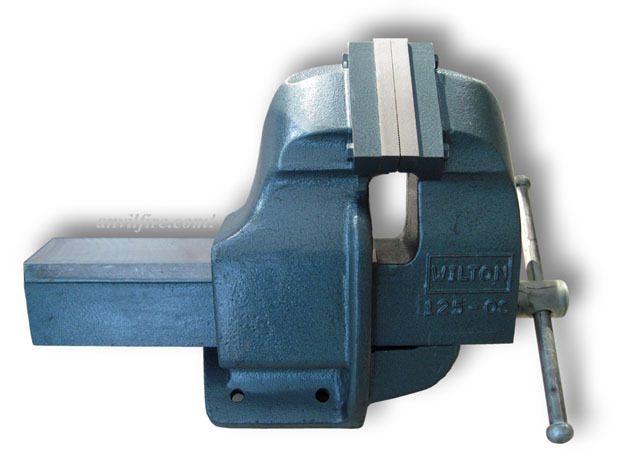 Dawn Tools and Vices of Australia makes a wide variety of vises including the Offset Engineer's vise in cast iron, ductile iron and fabricated. The "Super Grade" ductile iron version is guaranteed against breakage. Dawn Manufacturing Co. was established 1917 in Coburg a suburb of Melbourne, VI Australia. Their first products were vises.